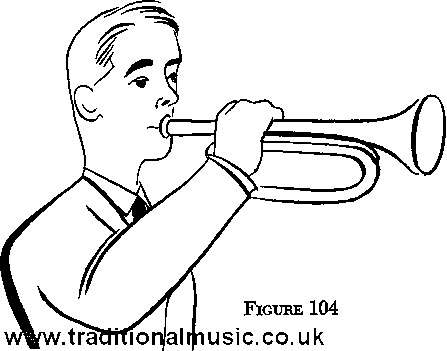 The bugle is held by the right hand as shown in Fig. 104.
position. Don't slant it up or down. the position that feels best to you. playing, you will find the best position without any trouble. should never puff out your cheeks while blowing.